You can help a poor child like Raja chase their dreams! Ilayaraja is from a poor family. He lost his father when he was a child and his mother was the only earning member of their family. She sold peanuts at a railway station. This hardly got her enough money to feed her three children every day. Since she struggled to make ends meet, education was not even an option for her kids. She had to make the painful decision to place Ilayaraja in the care of Sevalaya. But Sevalya proved to be a blessing for the family. They provided Ilayaraja a safe space to learn and grow. They gave him shelter, a caring environment and good food. They looked after his education so that he would have a chance to make more of his life. Ilayaraja was a bright student and worked hard. With Sevalaya's support, he graduated school and did a course in Computer Science. Today, he is employed in Tata Consultancy Services. When he visits Sevalaya, the kids there look up to him as a role model. Sevalaya houses many kids like Ilayaraja, each with tons of potential. All they need is a helping hand to realize their dreams. You can give with confidence because every program on our platform is GIVEASSURED. Sevalaya's Swami Vivekananda Boys Home and Mother Teresa Girls Home for destitute boys and girls provide shelter for orphans, poor and destitute boys and girls. Nutritious food, clothing shelter, good education and medical aid are provided to all these children. The family background of the children is verified when they are brought to Sevalaya for admission. Close to 2000 children have been provided with free education through this program. Every year 150 destitute children take shelter in the home. Food, shelter, clothing and basic education should be the right of every child. Poverty should not be a hurdle for any child to have access to basic rights. You can donate to this program and change that for a child. You can see a child like Iiiayaraja grow up to achieve his dreams. 2014: Times Now-"Amazing Indians Award"
Sevalaya is a charity, registered in 1988.Inspired by Mahakavi Bharathiyar, Mahatma Gandhi and Swami Vivekananda, Sevalaya serves the poor, orphan and destitute children and senior citizens and works for rural development. Sevalaya's Swami Vivekananda Boys Home and Mother Teresa Girls Home shelter around 175+ orphan/destitute children. Sevalaya provides food and accommodation, education, health care, sports, dance, music, entertainment, tours, skill development trainings and talent promotion in an atmosphere of love and care. These children are taken care of till they become self-reliant.. Many children are now well placed as software engineers, bankers, teachers / professors, police, electricians and mechanics. V N Jagan from Mamandur near Thiruthani lost his mother when he was 7 years old. His father earns a living by grinding idli batter and selling it. Jagan's grandparents stay with them but his grandfather is blind and grandmother is too old to take care of the children. Jagan who is now in Std VIII and his brother came under Sevalaya's care this year. "I love this place. I feel at home here. My appa (he refers to Boys Home caretaker G Krishnaswamy) takes very good care of me. I like the school very much" says a happy Jagan. Sudha Anand, a volunteer from Dubai and her son Siddharth who were recently at Sevalaya teaching Chess and Rubik's Cube to the children is amazed by Jagan's intelligence. "He quickly grasps and understands the concepts" observes Sudha. Jagan, who has always been a topper in his class, shows keen interest in sports. A very friendly boy, he helps other students and is very happy with the various opportunities he gets to explore his talents. "When I am well settled in life, I will come back to Sevalaya and be of service to the organisation which serves the needy" concludes Jagan. Gomathi's story E. Gomathi came to Sevalaya at the age of 11. She began her studies here from Std VI. Her father had expired and her mother is a housemaid. She stays at Sevalaya hostel. She has a good helping tendency and engages herself in helping small children to get ready for school, at the same time ensuring that she is also present at school at the right time. She also assists aged persons living in the campus for their regular activities. Now she has reached the final stage of school in class XII. 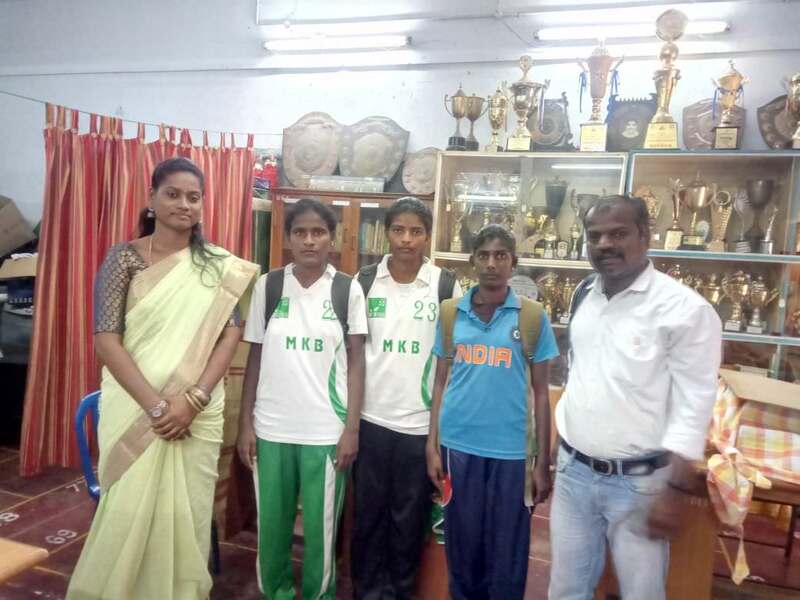 Though she is average in academics, our physical director identified her interest in sports and gave her special training in athletics for the past 5 years. She has also delivered hard work as an athlete, as a result of which she won Divisional level in 3000 & 5000 meters in athletics. She has now been shortlisted in Queen Mary's College for B.Sc Physical Education under sports quota.